A radical new housing deal has been proposed to break apartheid barriers. 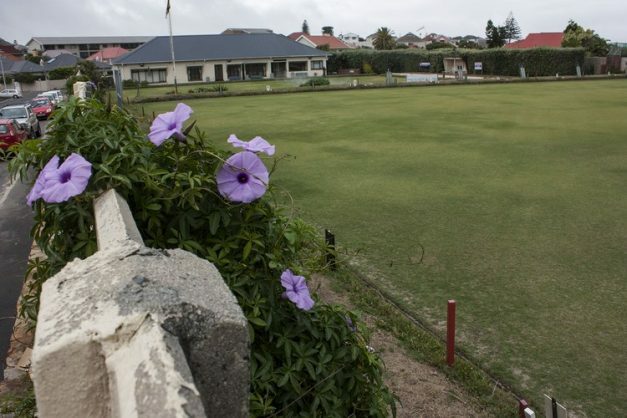 While over half a million Capetonians live in informal settlements, the Rondebosch Golf Club pays the City of Cape Town only R1,000 a month for the use of 450,000 square metres of well-situated land. With a full membership costing R15,750 a year, and fees of about R150 to play a round in off-peak times, the golf course is inaccessible to the vast majority of residents, including those who live around it. The golf club’s lease with the City is contained in a new report on City-owned land by civil society organisation Ndifuna Ukwazi, which also states that some of the best land in the city “is being used as a dog play park” for the @frits Pet Hotel and Daycare Centre, described as the largest of its kind in the world. The Rondebosch golf course is the largest area. Two-thirds of the golf course is above the 100-year floodline, and Ndifuna Ukwazi calculates the land could offer 183,360 square metres of built space for a mainly residential development that includes communal space, offices, shops, schools, and social amenities. The authors — Nick Budlender, Julian Sendin, and Jared Rossouw — calculated scenarios for the Rondebosch golf course in which residential units are built according to a 40% market-related and 60% social housing split (including 20% for GAP housing); a 50-50 split between market and social housing; and a 60-40 split. The square meterage of individual units in the calculations ranges from 50m² for a market bachelor flat and 30m² bachelor for social housing, while a two-bedroom flat built for the market would be 70m² and one built for social housing would be 45m², which is the average size of an RDP house. There could also be 116 free-standing homes on 400m² each, and 454 two-bedroom GAP houses of 55m², all set within public and semi-private green space with a promenade along the Black River providing direct pedestrian access to Mowbray. The 30 separate blocks could each be owned through sectional title schemes and, ideally, would each contain a mix of social and market housing rather than economic differences being divided into separate blocks. Similar modelling is done for the Harrington Square parking lot, the seven parcels of land which are mostly used as parking lots on lower Buitengracht Street, and for the Green Point Bowling Green, which the report states deputy mayor Ian Neilson has publicly committed for social housing. For Fish Hoek, which has a density of 884 people per km² while nearby Masiphumelele bursts with a density of more than 40,000 people per km² (2011 data), the proposal is for 171 units built as three-storey walk-ups all dedicated to social housing. These five portions of land could yield 6,473 housing units when calculated on the conservative model in which 60% of the units are built for sale on the market. 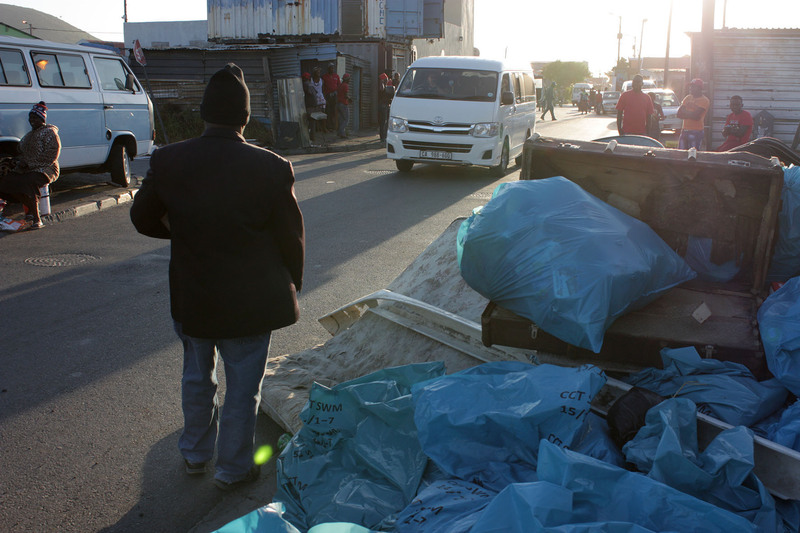 Over 500,000 of Cape Town’s 4 million residents are living in informal settlements, according to a recent report by the African Centre for Cities on lessons learnt from the drought. This figure does not take backyard dwellers into account. The development of just these five out of a possible 24 pieces of city-owned land would also bring an extra R35 million a year to the City in rates paid by those in the market units. Residents in the R3,500 to R18,000 per month pay bracket who qualify for social or GAP housing are exempted from rates, but would contribute payments for services. The report states that communities are not able to compel the City to review its land use decisions and public participation on leases and disposals is ignored. It calls for new legislation “which obliges government to review and rationalise its underused public land for redistribution” and says “the onus should be on the City of Cape Town to defend why the status quo should continue and land should not be redistributed”. If the Cape Town municipality makes poor choices about land use, say Budlender, Sendin, and Rossouw, other spheres of government should expropriate the land. Produced for GroundUp by West Cape News.